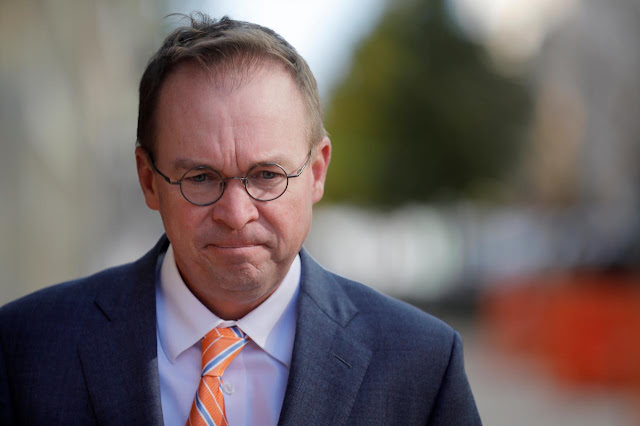 While a battle wages over who exactly is running the Consumer Financial Protection Bureau (SEE: Early Morning Madness at the CFPB: Two Bosses Show Up), it appears that Mick Mulvaney, who Trump named as acting director of the CFPB following the resignation last week Friday of Richard Cordray, has gained control of the agency's website. It lists him as acting director and the woman claiming to be acting director, Leandra English, is listed as deputy director. English should be considered as the leader of the "Pocahatinas" faction who are seeking to maintain control of the agency. She would run the agency in line with the goals of Elizabeth Warren, who is responsible for the creation of the CFPB. It would remain anti-banker. She was named acting director by the outgoing Cordray. But here is the big news, Mulvaney said Monday that he's implementing a 30-day freeze on hiring and rule-making at the agency. A good start. He also told staff to "disregard any instructions from English." She has filed a lawsuit claiming the acting directorship is legally hers. The Consumer Financial Protection Bureau, or CFPB, has been a total disaster as run by the previous Administrations pick. Financial Institutions have been devastated and unable to properly serve the public. We will bring it back to life! A judge has ruled that Trump's choice, Mick Mulvaney, should lead the CFPB and not Leandra English.